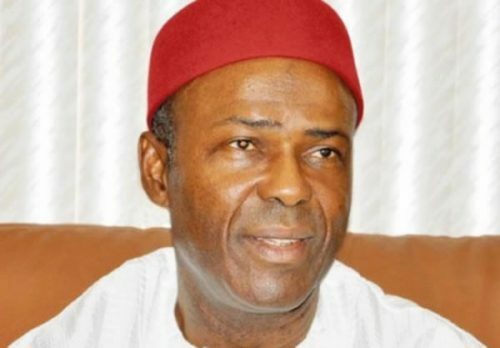 The Minister of Science and Technology, Dr Ogbonnaya Onu, will on Monday begin a tour of the United States where he is expected to meet and discuss with Nigerians in the Diaspora and advance a case for returning home and exploring opportunities in the country. In a statement issued in Abuja on Sunday by the Head, Press and Public Relations Unit, AbdulGaniyu Aminu, the ministry said that Onu would also travel to Cuba to sign a Memorandum of Understanding on science and technology. Aminu said, “The visit to the United States of America which is from August 27 to September 4 will afford the minister the opportunity to meet with Nigerians in the United States to sensitise them to the numerous advantages of the Executive Order Five, which is to ensure the realisation of the objectives of the Economic Recovery and Growth Plan, 2017-2020. He added, “The minister will, at the end of the visit to the US, proceed to Cuba on September 5 to honour the invitation of the Government of Cuba to enable both countries to evaluate the possibilities of cooperation in the areas of science, technology and innovation. Aminu said that Cuba had developed some of the technologies Nigeria could domesticate to reduce importation in line with the Executive Order Five.